Tips To Prevent False Alarms | Calgary Alarm Inc.
False alarms ultimately take police’s time away from those who are in real danger. 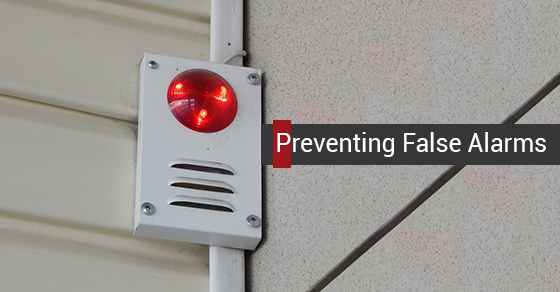 Not only are false alarms a source of embarrassment and frustration, but they can negatively impact your your security provider and may even upset your community. They can also result in expensive fees. Even worse, they may make it more likely that you do not arm your alarm system out of frustration, putting you and your family at an increased risk of danger. The most common cause of false alarms is human error—70-percent, in fact. The good news is that false alarms can easily be prevented once you identify the cause. Take the time to train all authorized users, from babysitters to your children, to employees and cleaning staff. If you are having guests or others into your home for an extended period of time, don’t forget to take them into account as well. Make sure windows and doors are secured before turning on the alarm. Inform your monitoring company of new passwords or newly added and/or removed authorized individuals. Maintain your alarm by regularly changing the batteries. Consider contacting your alarm company to have technicians come and check the state of your alarm on a regular basis. Determine if there is a real threat. Disarm your system if the alarm was caused accidentally. Carefully enter your code; you may to have reset your alarm. Contact your alarm system to inform them of the accidental alarm. Tip: Keep this number in a convenient location.